I’ve loved Pukka teas ever since I came across them. Their packaging reeled me in with the ‘pretty factor’ at first, superficial as that may sound. Quickly, however, their combinations of herbs, and later learning about their passion for the growth of organic agriculture and helping farms create viable businesses as their suppliers – needless to say it all sang to me – right down to the lack of plastics in their tea bags AND not even so much as a staple holding the bag together. 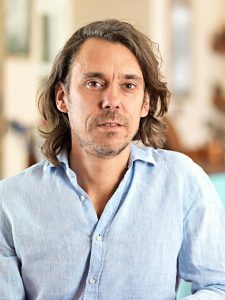 I knew I wanted to take a look into how it all began and discuss the power of the humble herbal tea, with co-founder Sebastian Pole. Recently I was also interested (and paartly shocked, if I’m to be honest!) to learn of Unilever acquiring them. Then seeing a few “hate threads” online, threatening abandonment from the brand because of the sale, I thought: This is a chance for us to hear from the horse’s mouth about what is taken into consideration in such an offer. The main body of this brilliant chat with Sebastian, however, goes way beyond that recent event, and we look at how it all began, how the blends are created and what they want to achieve into the future. We even talk “What are your desert Island tea choices?” Big hearted business. Big goals. Change on a huge scale. Inspiring stuff. I hope you enjoy the show. Pukka came out of a desire to serve people and wanting to share very good quality plants to help support the planet. Its purpose is to connect people to the power of plants. Pukka only uses plants that are of the highest therapeutic grade. Pukka’s core brand values ( the 4 wisdom seeds as Sebastian calls them) grew out of ancient yogic tradition: truth, respect, purity and effort. It’s about following your purpose and doing that in a respectful way, leading to greater authenticity, and applying this effort in a purposeful and inspiring manner. Recently Pukka joined with Unilever and although this has been seen as highly controversial, it’s a step towards serving more people and bringing change at a larger scale. All Pukka teas only use organic herbs, all teas are fair-trade certified and they give 1% of sales to environmental causes: all things that they will continue to do under Unilever’s stewardship. Pukka herbs come from 80 different countries depending on where a specific plant grows well. It could be Chamomile from Egypt or Croatia, Liquorice from Kazakhstan or Spain. Over the years, Pukka helped guide farmers on how to tend to the soil to protect the biodiversity, fertilise the herbs, in order to make them as nourishing and potent as possible. Pukka’s tea blends are developed based on ayurvedic principles: key herbs are selected for the heart of the blend, and other herbs will then be chosen as “supporters” to the heart. Herbs blended together make a powerful force and can be used to provide certain benefits: relax or revitalise for example. Pukka’s Three Mint combines mints with different flavour profiles and uses a different type of mint called field mint, with a very high level of essential oil. It helps stops spasms in the digestive system, releases tensions, cramps, gas and helps assimilate food more efficiently – consumed after a meal it is known to support digestion. As a daily support for gentle detoxification assistance, the Detox tea blend is the go-to: made as a blend of seeds (fennel, aniseed, coriander) traditionally used to improve digestion, to help metabolise food and help to clear unnecessary deposits. The Cleanse tea helps detoxify the skin and blood and is made from wild harvested nettle, fennel, and aloe vera juice, great for people with a tendency to inflammation and allergies. A lot of Pukka teas are not only cleansing but also nourishing at the same time. At Pukka, everything is organic, even the string used for the tea bags. They don’t use plastic and the bags haven’t been bleached with chlorine. The mission of the brand is to serve people and the planet, and go to the edges of the world to do the best they can to respect the tradition of herbalism. Facebook and Instagram links for US listeners and Pukka Australia instagram and Pukka Herbs HQ instagrams through those links. Happy tea’ing! I’m just so grateful for your podcast!! I’m a listener from Michigan, USA and I have been listening to your podcast for months! It has made my commute to work enjoyable! I think the Tulsi Pukka sounds very good— thank you for everything you do, Alexx! Hi jenny – Hope you enjoyed the discount. I certainly made the most of it too! Thank you for all your hard work. 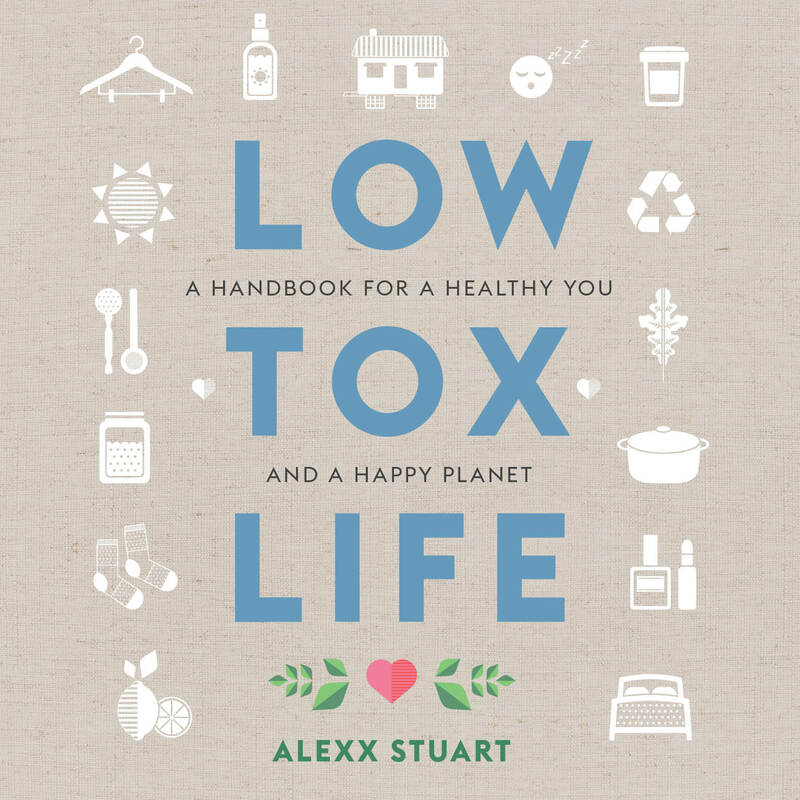 You inspire me to keep my life lowtox 🙂 I learn so much from all your podcasts. I would love to try Chamomile, Vanilla & Manuka Honey. I love the three fennel tea! And the packaging is so beautiful as well! Hello – ignore previous message re difficulty with ordering from Pukka website. I realised there was probably an issue with the browser (Safari) when I attempted to send them an email via website and that failed too – so I went to Firefox and the order went through OK. Sorry I didn’t try another browser before posting – it was worth persevering though as other than so many delicious sounding teas ( you could spend and evening reading about them) there are some lovely ideas for gifts (& self) like dear little travel tea tins and gorgeous bamboo reusable mugs. I just recently found your podcast and it’s wonderful! I’m enjoying chatching up on all the back episodes. I’m a listener from the USA and would love to try the Chamomile, Vanilla & Manuka Honey tea. Thanks Alexx for all you do! I listen to your podcasts each morning on our walk to and from school. So excited to see an offer for us living over here in the US. I’m an Aussie living in California and would love to try out some Pukka Teas. But how to choose, they all sound amazing. 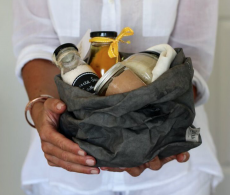 I’d love to try out the herbal collection or the chamomile, vanilla and manuka honey (can’t decide, surprise me!). Love Pukka tea!! So hard to pick a favorite but Three Tulsi is so healing! But I want to try them all!! Hello! This is Elizabeth from the U.S. 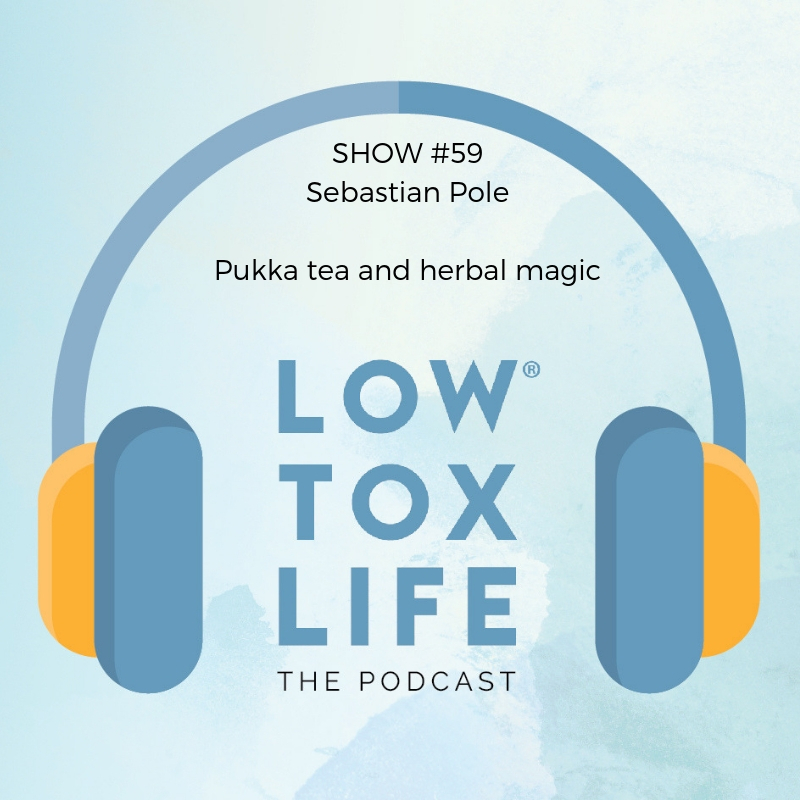 Loved this show and interview with Sebastian from Pukka Herbs. I have to admit, I was first drawn to the brand because of their beautiful packaging. After trying the tea, I also realized it was a legitimately great product. My favorite is the Three Tulsi. Thanks for your continued dedicated to education and sharing information. Hi! This is Paige from Michigan! 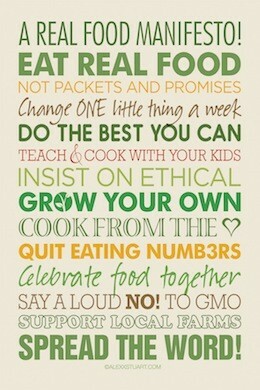 I am so grateful to have found your show as I start on my journey towards a low tox life. I would love to try the detox tea. I’d love to try the three ginger tea. Because of this episode I ran out and purchased two boxes and my local Fresh Market and I LOVE them! I got Three Mint and Love and they are so wonderful! I never would have heard of them if you hadn’t done this interview! I doubt I’ll buy another brand again. Thank you! Just listened to this podcast as I drove 7 hrs. across the western part of Texas. Such an interesting interview. I will be on the lookout for Pukka here in west Texas. I think I would like to try the Three Mint tea. Thank you so much for your wealth of knowledge, it has recharged my life and commute! The Elderberry & Echinacea sounds wonderful! Thank you for a great podcast! I appreciate that you have a special offer for listeners in the United States. I am listening from Boston and I would like to try Pukka’s Love tea. The Vanilla Chai is my favorite but I’d love to try the Elderberrybsometime.